#1. If this the third reported spill, how many unreported spills have there been? #2. There were talks about drilling for oil in our waters in the past….um MARINE LIFE hello?!!!! 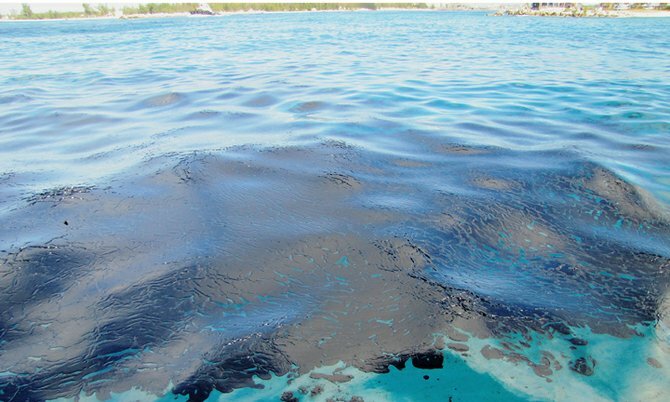 They do realize that if an oil spill like what happened in the Gulf in 2010 were to happen in our waters, we’d really be a 3rd world country! #3. “Monitoring and assessing” is not fixing the doggonit problem if the sunken boat debris is being left to pile up in the marina! Let’s cook with gas and not out in the rock oven people! !